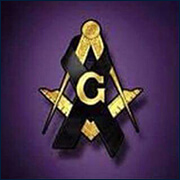 It is with very sad duty that we inform you that Brother Richard Ellis, has passed to the Grand Lodge Above. 2015 in Digby General Hospital at the age of 77. Born in Digby, he was a son of the late Archibald and Lola (Taylor) Ellis. Richard was a respected business man in our community where he was owner operator of numerous businesses over the years: Barton Texaco Service Station; Annapolis Fuels Ltd. (Texaco); Flowers by Gabrielle; owner operator with his sister, Ruth, ELLIS GM, a General Motors dealer for 35 years. Richard was also active in our community serving 18 years on the Digby General Hospital Board; 6 years as Chairman of the Board; Vice Chair of Growth Opportunities, Digby; A member of King Solomon Lodge #54, Digby and one of the founding members of the Brighton-Barton Fire Department. Richard was an avid outdoorsman; he enjoyed spending time in the woods, going sharkfishing and cranberring with his friends and he especially enjoyed the time spent with his family. He is the last surviving member of his immediate family. 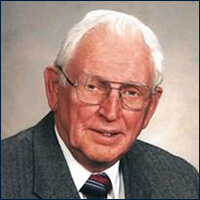 Richard is survived by his wife of 55 years, Joan Ellis (Grant); daughter, Jennifer (Brent) Hebb, Digby; sons, Kevin Ellis, Brighton; Kent (Lynn), Cincinnati, Ohio; grandchildren, Taylor Comeau, Truro; Alec Comeau; Edmonton, Alb; Zachery Ellis and Micah Ellis both of Cincinnati, Ohio; Logan Hebb, Wolfville; Dawson Hebb at home; sisters in-law, Diane Shortliffe and Eileen Ellis; nieces and nephews, Lynn Hopey, Dee Kirkpatrick, Philip Denton, Mike Shortliffe, Michelle Shortliffe. Besides his parents, Richard was predeceased by daughter, Jill Comeau; brother, Lloyd Ellis; sisters, Audrey Denton, Ruth Daley; his in-laws, Lloyd and Dorothy Grant and nephew, Robert Denton. Visitation 2-4 pm and 7-9pm with a Mason Service at 8pm, Monday, March 23 from Jayne’s Funeral Home, 7 Birch Street Digby (902-245-2525). Funeral Service at 2pm, Tuesday March 24 from Barton Baptist Church. Pastor Mark Cress and Rev. Bob Reid presiding. In lieu of flowers Donations may be made to Digby and Area Health Services Charitable Foundation (Palliative Care Unit, Digby General Hospital) or a charity of your choice. Special thank you to Dr. Harding, Dr. Robitaille, Dr. Ron, all the wonderful staff of Digby General Hospital, especially the 2nd floor. Thanks to Reg Hazelton for his support and comfort during Richards illness.